In this interview you’ll get to know Esfandiar Baharmast, but will also get an insight in World Cup refereeing. What is the biggest highlight of your refereeing career and why? Esfandiar Baharmast: There are so many highlights that I am not sure which one to mention and keep it brief. From a refereeing point, semi-final of 1996 Olympics in Atlanta between Argentina and Portugal and of course my 1998 World Cup match between Brazil and Norway that to this day is talked about everywhere I go and is an incredible story that does not fade from memories. My assignments to do the opening game of Major League Soccer as well as its 1st Championship match, a game that became an instant classic between DC United and LA Galaxy, both in 1996. 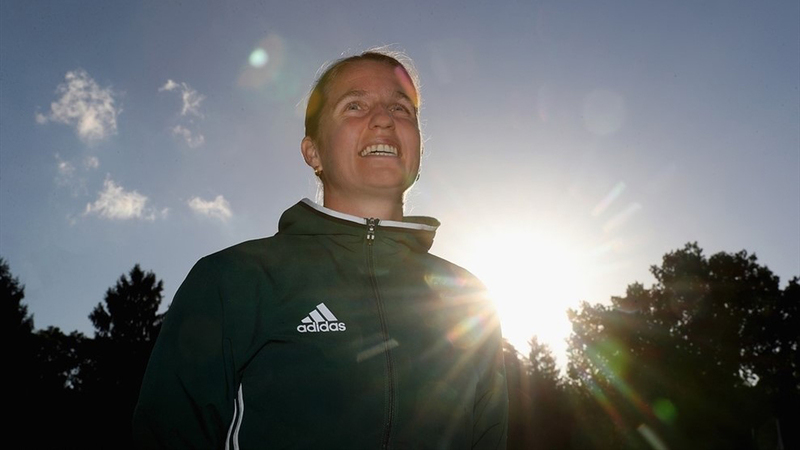 This beautiful career has taken me to 5 Men World Cups, 2 Women World Cups, 4 Olympic games, and every FIFA and Confederation tournaments imaginable. I was the assessor of Rio Olympics final game ( Brazil-Germany) as well as Copa America Centennario championship match (Argentina-Chile). The awards and accolades that have come are beyond belief, from being the only soccer referee to be the recipient of the NASO ( National Association of Sports Officials) Gold Whistle Award, to receiving the Inaugural MLS Referee of the year award in 1997 and induction to Colorado Soccer Hall of Fame in 1998. The list goes on and on, but for me the most wonderful highlights are the beautiful friendships that I have with so many quality people in every corner of the globe. They are my true gems and are priceless. I want to highlight each and every one of them, from the mentors who taught me everything I know and my fellow referees, the players and coaches that we still maintain respect and friendship every time we see each other. I also love to celebrate my younger referee friends who through their success and reaching their full potential, bring a smile to my face each and every day. You’ve had several jobs in refereeing after you quit as active match official. What does it make so beautiful for you to remain involved in refereeing and do you miss it to officiate games yourself? Esfandiar Baharmast: This game has given me so much and by staying involved and passing on what I have learned is my way of thanking those who came before me as we build on those collective experinces. My best reward is watching the new generation of refeees achieve their dreams and If I can make their journey a little easier and more pleasant, then it is all worthwhile. I owe a huge debt of gratitude to my family and specially my wife Afshan and my daughter Arianna, who know the importance of this and allow me to spend the time away, even though it involves a lot of sacrifice on their part to make it happen. Let’s go back in time a little bit. You were the center of attention after awarding Norway a penalty kick. Footage afterwards proves that you made a great call, which nobody could see at the moment of the game. I did write a blog post on this topic, but can you briefly explain how you experienced this media storm during such a big tournament? Esfandiar Baharmast: The media can be brutal and when the tsunami of criticism starts, it takes a great deal of self-confidence and a lot of support from those who are dear and near to your heart to make you stay balanced and in control of your emotions. 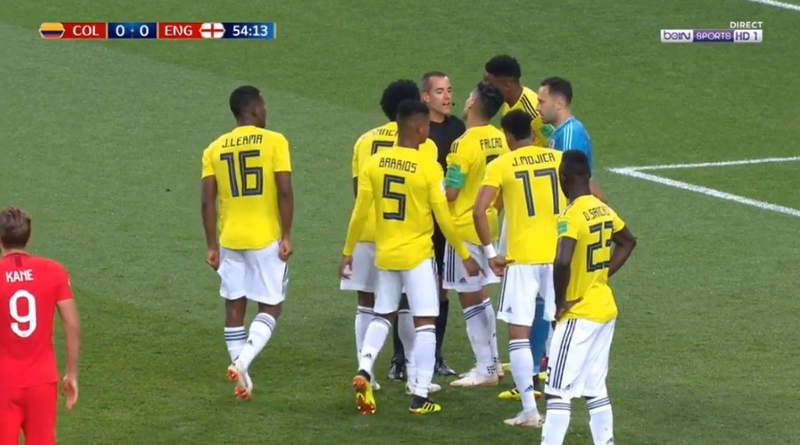 It is amazing that in the eyes of the media in a span of 36 hours I went from the most incompetent and useless referee (those are some of the mildest words, I give you, as the rest can not be published for people with good manners) to one the best referees who saw something that 16 cameras failed to see. How I was the best and deserved the highest games and all of a sudden had X-ray vision and was super human! The fact of the matter is that nothing had changed, I was the same person with the same judgement and the same decision. Thank God for the Swedish cameraman Mr. Stig Carlsson who had captured the penalty from his location, behind the goal to show the World, what were the simple facts. That Junior Baiano, had CLEARLY pulled the Jersey of Tore Andre Flo and the penalty was 100% the correct decision and I just refereed the game to the best of my ability with honesty and integrity. Those are the simple facts and allow me to have the most clear conscience and be at peace and very comfortable with who I am and what my values are. For that, I don’t need to read any media or listen to people who have never met me, don’t know my background and have their opinions based on limited information. 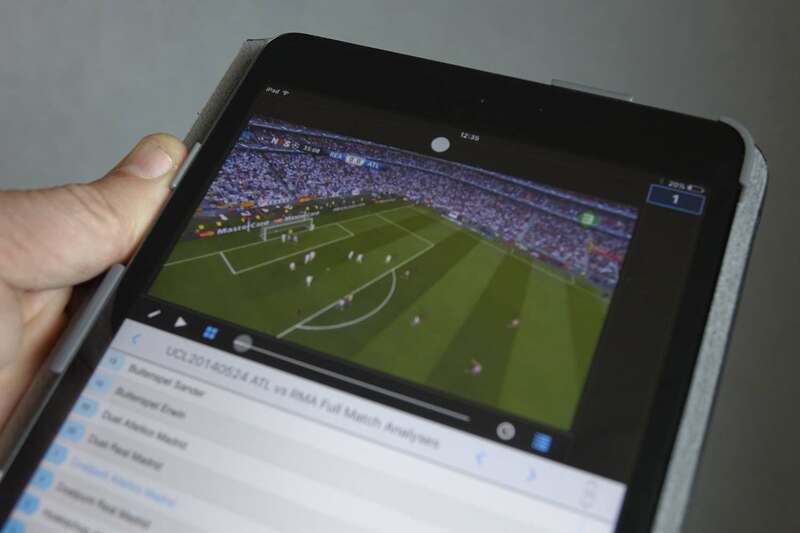 How has this changed in recent years now the World Cup is getting even more attention and more people are sharing their opinions on online and social channels? Esfandiar Baharmast: I think the level of scrutiny and pressure has become so much more, that is almost like trying to drink from a FIRE HOSE. It can be very difficult with all the social media and everything showing up in matter of seconds and shared all over the world, and many times with brutality and lack of civility. This is a shame and It can be seen in every part of our lives, from the kids in school who experience bullying and humiliation through social media, to what happens after a game to referees, and sometimes players and coaches. People forget that these are real people, humans with feelings and families to care for. It is not correct to spread so much harsh and negative feelings into this world, as what we spread, is exactly what comes back to us in return. My Motto has always been to “think positive, talk positive and act positive“, very simple words to say, but putting it into action is the real art of living and good humanity. So my advice to all referees, is that in your life, stay balanced , be humble and always keep your feet to the ground and your eyes to the stars. When you know how to handle success and setbacks and have humility in victory and defeat, then you are at peace with who you are. Do your best, give it all and have faith that good things will come to good people. You were the referee of the first ever MLS match. The game was played on April 6, 1996 between San Jose Clash & D.C. United. How has football changed and professionalized since then? And what does that mean for the role of the referee? Esfandiar Baharmast: The Speed of the game is simply mind boggling now in comparison to 22 years ago. The pace of games and how you can have 3 counter attacks from one goal to another in less than 30 seconds are simply amazing. 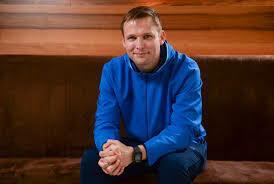 The game is played at incredible pace and referees need to be top athletes and be able to maintain fitness and concentration for over 120 minutes and more, as you can not lose your sharpness and focus in the most important moments of the match, namely when the players are tired and mistakes can occur. The increased number of cameras, more coverage of games in print, TV and social media adds to the amount of scrutiny to everything that we do on and off the field of play. 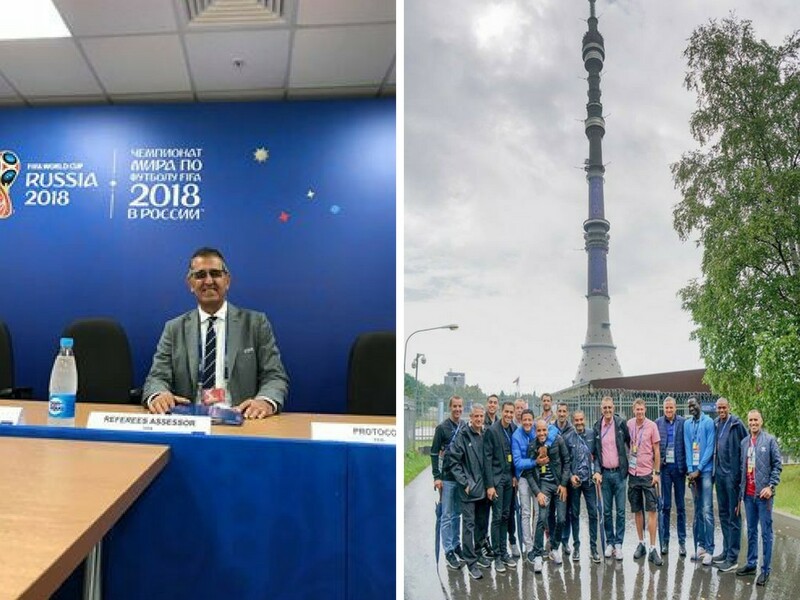 What is your current role for the match officials that will go to the World Cup in Russia? 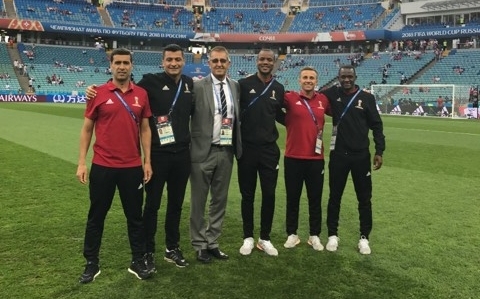 Esfandiar Baharmast: I am a FIFA instructor and work with all the referees in their technical preparation as well as mentoring and debriefings. Our role is the same as the coaching staff of any team that prepares the players for their games. We conduct practical training on the field of play, as well as preparing video clips from matches to debrief after games and prepare for next matches. In addition I have participated in meeting with teams in the Team Arrival Meetings to make sure players and coaches are informed about the general guidelines given and that we are all on the same page. You’ve been to several events prior to this final tournament with the selected candidates. How do you prepare them for the World Cup? Esfandiar Baharmast: Our job is to prepare the referees to the highest standards and make sure that they arrive in top physical and mental conditions. Also from a technical standpoint, that they have practiced movement and positioning on the field of play and everything has become natural to them. During the games, they must anticipate and read the game, to move quickly to next phase of play, so that they are always in optimal position and have a great angle of view to see the incidents clearly and judge it according to the consistent interpretations of the laws, which again has been practiced by having gone through countless number of video tests and video discussions in the classroom. How does FIFA provide the referees with the best preparation possible? Esfandiar Baharmast: The World Cup referees have gone through a 4 year preparation process. Immediately following the the 2014 World Cup in Brazil, we identified the next group of candidates and they have participated in numerous FIFA tournaments from the Olympic games, to FIFA Youth World Cups (U-20 and U-17) in addition to the FIFA Club World Cups , Confederation tournaments,and countless seminars at every opportunity. Same as players who go through a qualifying process and the best are chosen to play for their National teams, we follow in the same way to select the best possible candidates to arrive at the World Cup. It is a long and very intense selection process to ensure that we get the best referees. Esfandiar Baharmast: I expect that our referees will be in best fitness form and compete as top athletes, with mental toughness and total technical preparation. They will have be the best prepared referees and we have invested lots of time and resources to make sure that they are successful. They will work to the best of their abilities and as a result we should have a wonderful tournament, where players can showcase their talent and provide an exciting World Cup. Most of my readers are not yet at their personal top. What tips (top 3) would you give them to manage their (amateur) games well? Be student of the game: play the game, take a coaching course, watch games and discuss with fellow referees, players and coaches and always keep an open perspective. You don’t have to agree, but if you hear the same input regarding your behavior from different sources, then may be there is something for you to re-evaluate and do adjustments. “Never settle for ordinary, the difference between ordinary and extraordinary is that extra that you give”. If this is your passion and you love what you do, then giving that extra comes naturally and you can not get enough, but also remember to stay balanced. Do not sacrifice your family and your loved ones, or your work. Keep the balance in your life and treat all 3 with same focus and attention, It will strengthen your charcater to alwys do the right thing , no matter who is watching or not watching. Treat people with respect and kindness”. Bjorn Kuipers and his assistants worked very hard on their training session closely watched by the Dutch press. And by Hilco de Boer. In an interview with Dutch Referee Blog Hilco de Boer tells about the importance of physical training for referees. 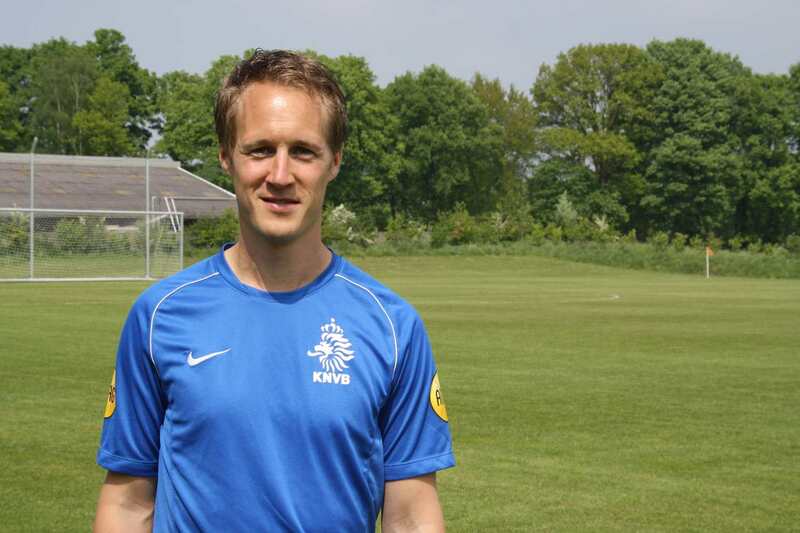 Hilco de Boer is the physical trainer of referees in the Dutch professional leagues. 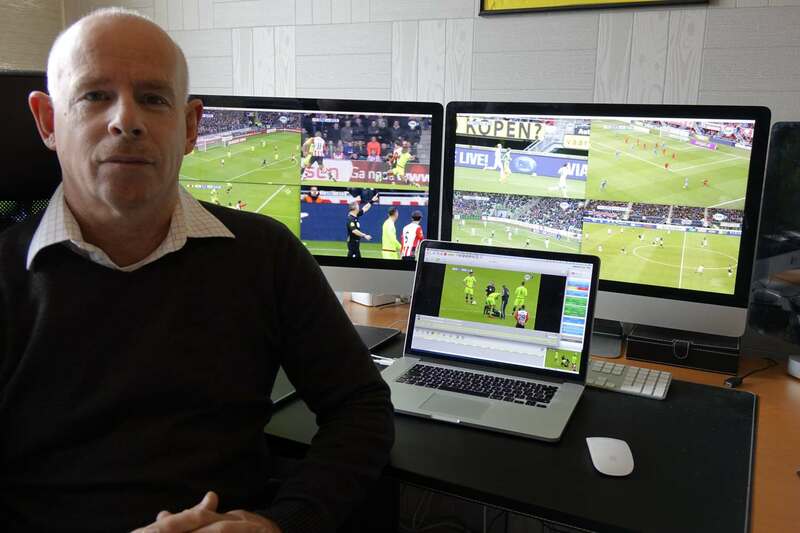 He guides and monitors their training sessions – whether they are at the KNVB or at home. Based on upcoming games he makes the training schedules for most of the referees. Dutch top referee Bjorn Kuipers will also receive schemes from Uefa. “All those training schedules are made based on the games that are scheduled”, says De Boer. There’s one thing that many referees can improve: the running technique. “On tip for everyone: get help from a good running coach.” Good running education is important to improve the way someone runs. With the right running technique you will be able to develop more speed and you’ll be running more efficiently, which makes you less likely tired after a few runs. 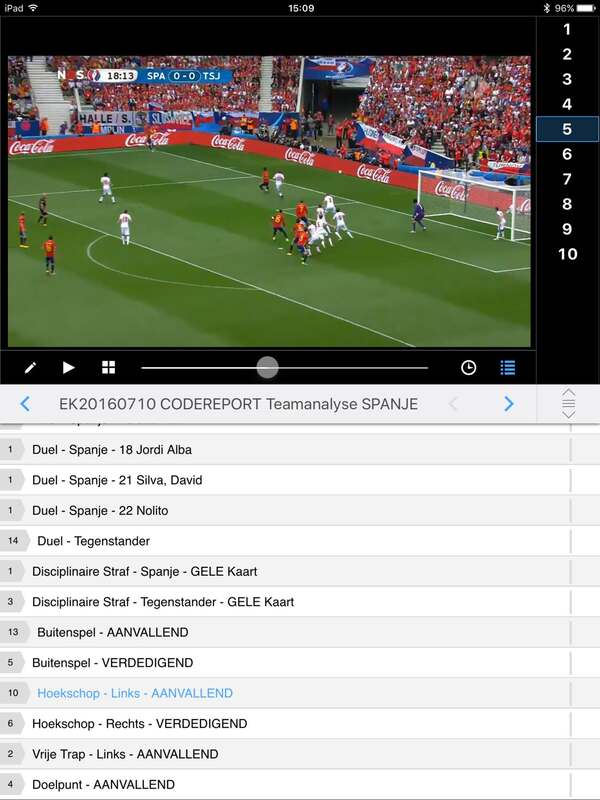 “That’s why we always record the training sessions of young referees in the talent program on video tape. We monitor how they run. I also collaborate with a former Olympic triathlete to improve the running technique of the talents.” De Boer gives assistant referees the advice to run along with someone who’s an expert with running with a flag in their hand. “That’s something really different”. Start at young age with good training. If you get older it is difficult to adapt your training pattern. Please share how you do your training sessions. How often do you train (twice or less) and what exercises do you do? Vitor Manuel Reis, a former professional referee in Portugal, has written two new books about referees. In this article he talks about his book, plus has some great tips for you as referee. 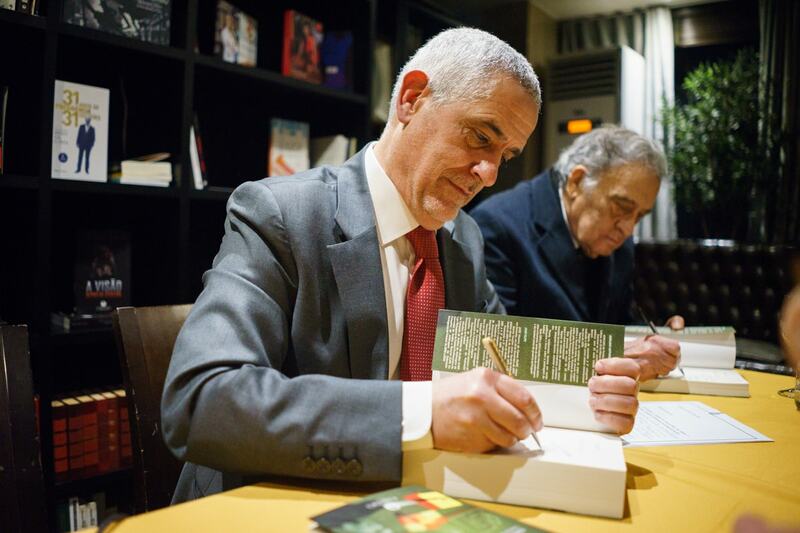 Vitor Manuel Reis signing his book. Photo provided by referee. What is your current role in the Portugese refereeing world? At this moment, nothing. I’m not colaborating with our Football Federation. Since 2011 to 2014 I was the Coordinator of the National Commission of Analysis. 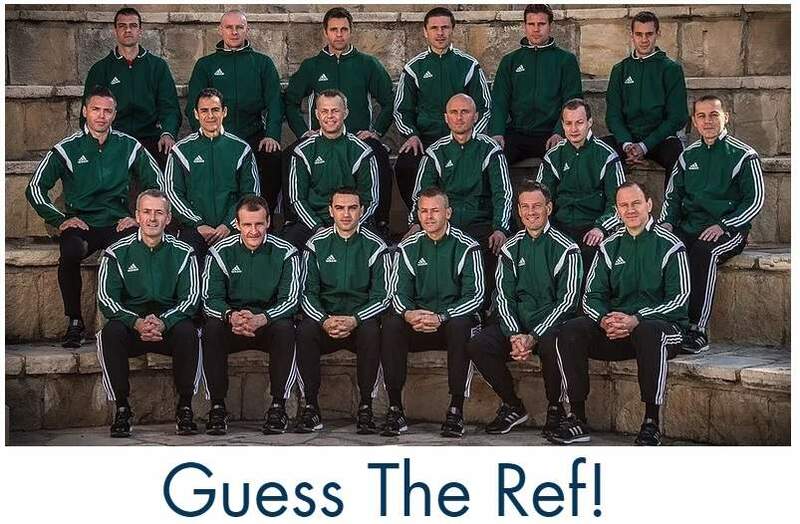 It’s a Commission named by the Refereeing Committee and the main role is to analyse the work of the referees observers. We studied the referees complaints about their performances grades/marks also. It was a fantastic and hard job but I loved it. That Commission was a kind of supervisory technical board consisting of 8 members (total). Furthermore, we were responsible for writing technical advices/opinions about the football laws and rules. Vitor Manuel Reis doesn’t publish just one book, but two. Congratulations with your new books. What can readers find in the book? 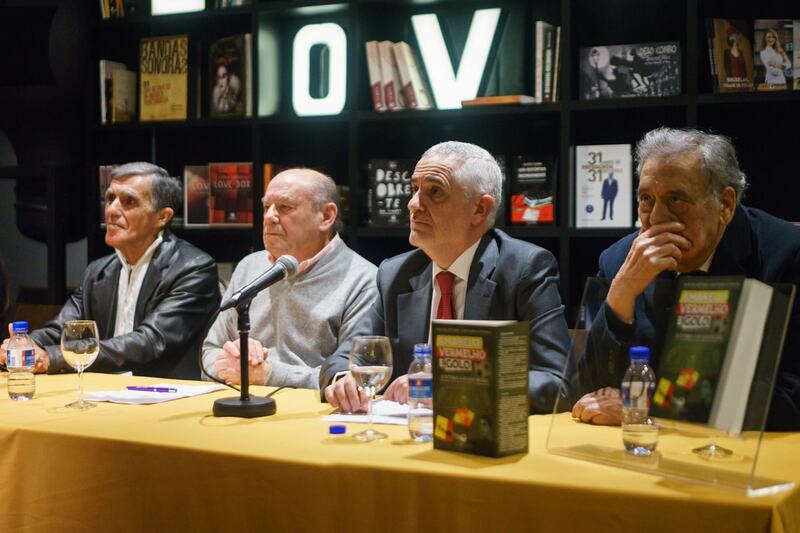 The general title of the books is ‘Amarelo, vermelho e golo – o futebol e as suas regra’. It means: “Yellow, red and goal – the football and your rules”. Part one (650 pages) gives you an understanding about the football and it’s rules. In part two you can finds questions, answers and other references to the Laws of the Game (300 pages). “In book 1 I explain an historical review about the original football rules, written in the famous Freemason’s Tavern in 26th October 1863, in London. After that, a detailed explanation about the 17 Laws of the Game. In the end, a complete chapter about the VAR (Video-Assistant Referee), which is a very important matter nowadays in Portugal. In book two you’ll find 350 questions with the correct answers about the football laws and rules. One chapter with our opinions about the system of referee’s evaluation (technical observations on the matches). Another chapter with the story of balls used in the world’s championships since 1930 (Uruguay) until 2014 (Brasil). And more: words and expressions used by the referees in portuguese, French and English and the history and statutes of IFAB. PS: did you know my blog has LOTG questions too? Do the weekly quizzes every Friday at noon (CET). What do you want to learn the readers of the book? Andelino Antunes and José Filipe are also former referees. How will their experience help the readers of the book? On the cover you write something about the long journey of a referee. What are the most crucial parts of a refereeing career and what characteristics does a good referee need to have? What kind of characteristics a good referee need to have? You write on the cover that it gives joy if you keep busy with refereeing and trying to improve. How much time does it take to be a good referee and what are the best ways to improve? In my opinion, it is necessary, at least 10 years until to reach the top level. The regional matches are frenquently the most difficult and some times the most harder too. In those matches the referees get the necessary experience to improve their future performances. But for technical improvement is always necessary the discussion with other referees, the participation in “workshops”, technical courses, the study/knowledge of the “Laws of the Game”. And one very important aspect: each referee must think in reaching the top of the career. And it shall be attractive. The world and our life are nowadays extremely competitives, so the thought of the referees should be knowing the laws, achieve better performances and develop their careers. If you must give three tips from the book that will help referees, what would you tell them and why? Decision-making capacity, firmness and security in all the decisions – The referee is a judge, so he should have the ability to exercise the authority in order to protect and respect the game. Jens Maae thinks 2017 is the best year in his refereeing career. He officiates the Euro u17 final and the Danish cup final. But that doesn’t mean he will stop working hard in 2018. There are new goals. “The most imortant thing is to enjoy myself and second is getting to category 2 in UEFA”, he says in an interview with Dutch Referee Blog. Jens G. Maae is 35 years old and a referee since 1998. He is a semi-professional referee that works part-time as a physiotherapist. Check out the interview about his wonderful last year plus his future career. You officiated the u17 Euro final this year. How did you experience 2017 and this tournament in particular? You officiated the final with assistants Mika Lamppu from Finland and Russia’s Alexei Vorontcov. How do you prepare for a final? What does day look like? And how is it to work with AR’s from different countries? Jens Maae: “When appointed to the final, it was important for me to get together with Mika and Alexei as much as possible – to form a team. Preparing for the final included specific training exercises on matchday minus 2 and 1″. (MD-2 and MD-1 in training schedules, the days before the game, Jan). “On the matchday we eat breakfast and lunch together. But otherwise are we alone – to get mentally ready. Different referees think differently about what to do on the matchday, but I prefer a small walk, sleep – just relaxing. Mika Lamppu talked about chemistry in a refereeing team on my blog in September. He says: “For example, the final was my first match with mr. Maae, but we managed to build a good cooperation thanks to spending much time together during the weeks.” How important is “the team” for you and how do you build it? Jens Maae: “The team is very important – I need to trust them 100% in situations. Back to the start of your career. How did you get involved in refereeing? Which steps on the refereeing ladder did you take so far? And how are refereeing facilities in your country? Jens Maae: “In the Danish league there are no more steps, I have reached the top. I have refereed the big Copenhagen derby and the cup final.” I also won “referee of the year” after beeing in the top division for 1 ½ years. What do you like about refereeing so much and have you ever thought of quitting this hobby? What’s the hardest challenge/problem during your career? It’s just 2018. What are your refereeing goals for this year? And how are you going to achieve them? Check more about goal-setting for referees. On the Uefa website you say something about the u17 Euro as well. 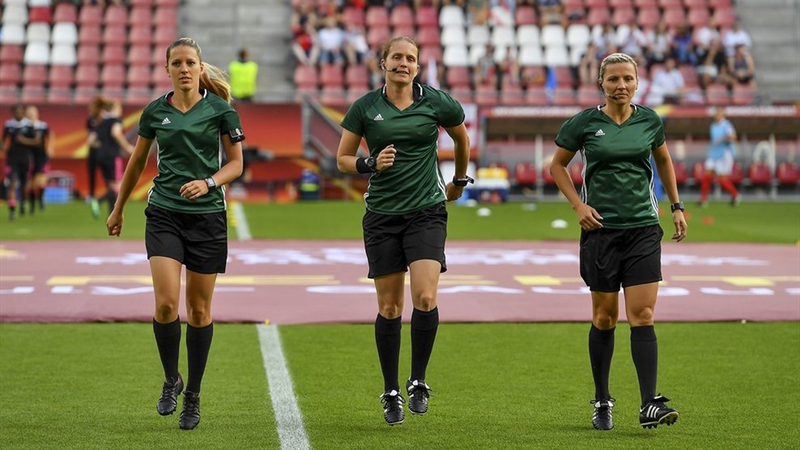 “This is a very important tournament for all of us because we’re learning from the best observers in the world.” What are the best 3 tips that will make others a better referee too? Be yourself and enjoy the level your are refeering at. I talk on my blog with José María García-Aranda Encinar. 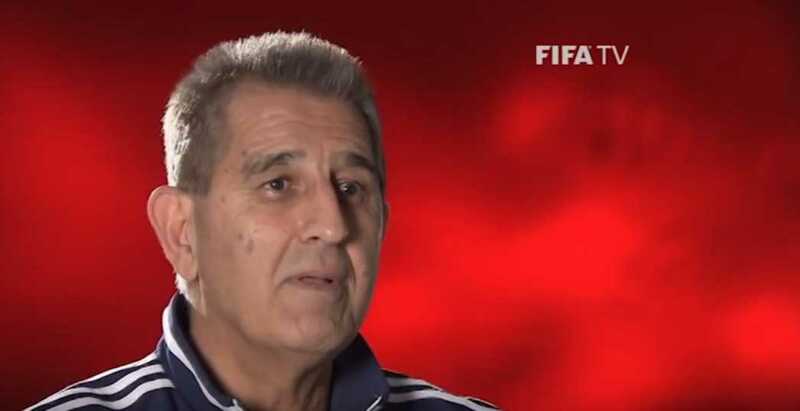 He is adviser to the President of the Referees’ Committee and to the President of the Football Federation. Can tell me a bit more. What are the plans? Why is a good physical condition so important for referees? Why do referees need such a programme? 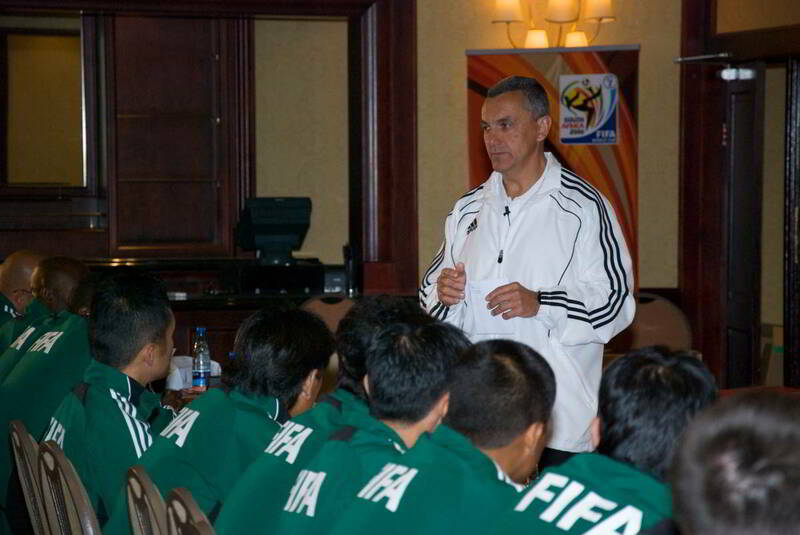 José María García-Aranda Encinar training FIFA referees. How will this help referees? What do referees have to do now? These programmes require a higher compromise from the referees with their general preparation. Because they need to be in closer contact with their instructors. It also shows they need to be an active part of their own control and management. The Referees Committee is seeking excellence in all the areas related to the referees’ performance. What are the other plans to improve the quality of refereeing in Madrid? 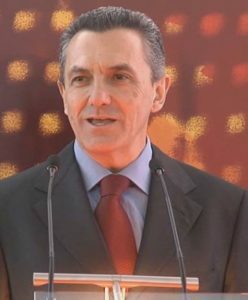 The new President of the Madrid Referees’ Committee, José Luis Lesma, with the full support of the new President of the Royal Football Federation of Madrid, Francisco Díez, seeks to position Madrid’s men and women referees at the forefront of Spanish refereeing. To reach this challenging target, new physical, technical and psychological programmes will be implemented with the support of the new technologies (educational platforms, applications, etc.). If you have to give three tips to referees about their physical performance. What tips would you give them? First of all, your physical preparation will improve your general performance and image. 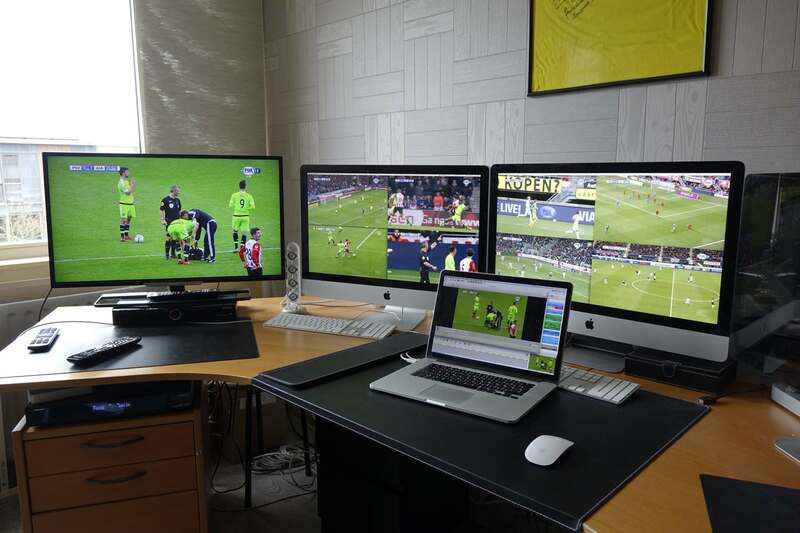 You need an excellent physical preparation to control the demands of modern football matches. An accurate physical preparation will allow you to be in the right place at the right time. To show the best of yourself as a referee, you need to use this tool (physical preparation). Want to read more about referees and fitness? Check out the fitness page on this blog.